PSI now offers a new breed of GT and rugged GTR-series SATA and PATA (IDE) SLC SSD solutions for military applications. 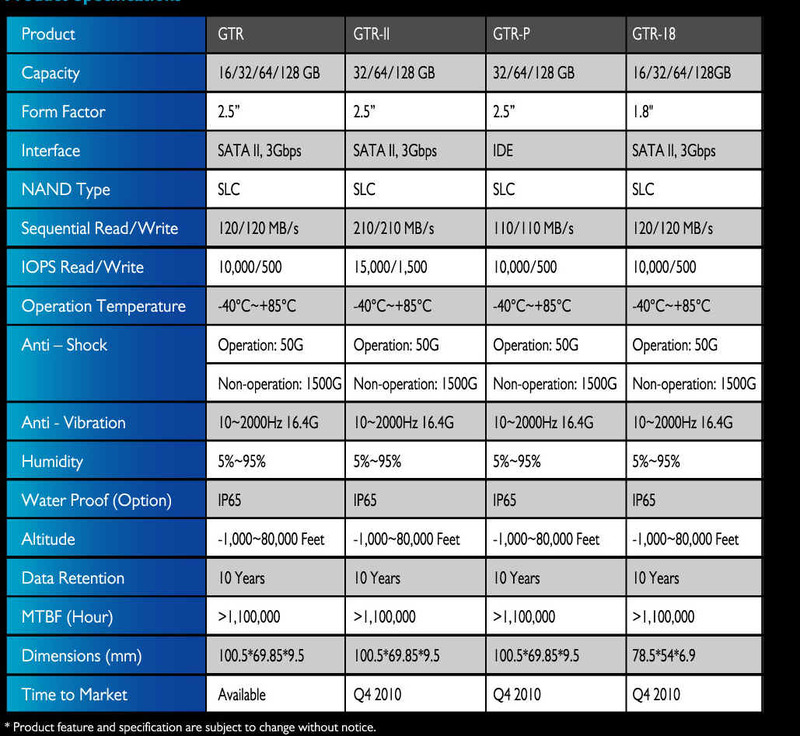 - Constant Speed & High IOPS: To ensure the stability, the performance of our SSD runs in a straight-line speed. - In-Drive UPS: To ensure SSD with 100% data integrity without data losing during power failure. - Secure Erase & Self Destroy: Four types of secure erase functions to meet customer�s unique application are provided for customers to choose from. The default setting is "NORMAL" secure erase. For other options (Fast Erase, Enhanced Erase, Destroy, etc. ), please check here and specify in your inquiry or order. - Optional Conformal Coating: To enhance the durability of anti-corrosion, humidity proof and water proof. For detailed product info of GTR series drives, please go to here. For more detailed information of GT/GTR series drives' InDrive UPS feature, please go to here. 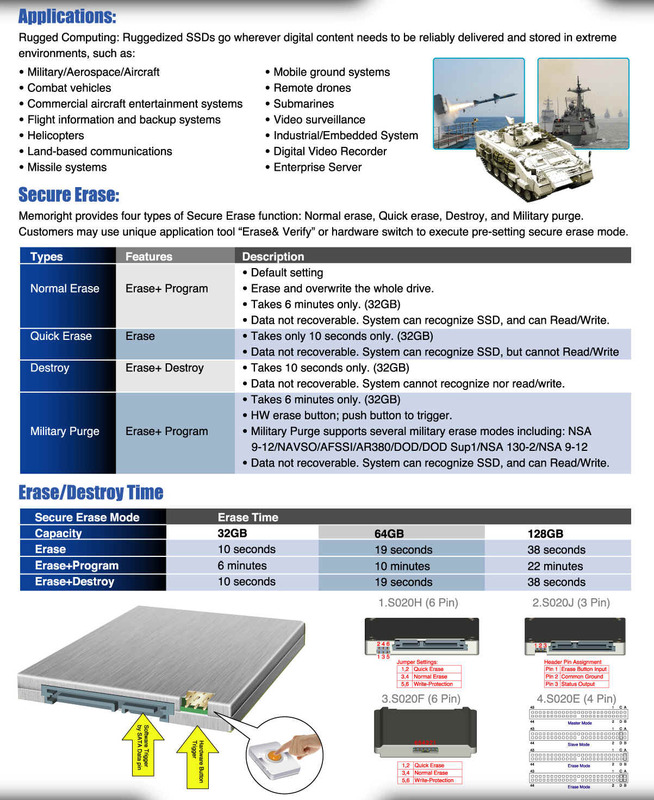 For more detailed information of GT/GTR series drives' Secure Erase feature, please go to here. 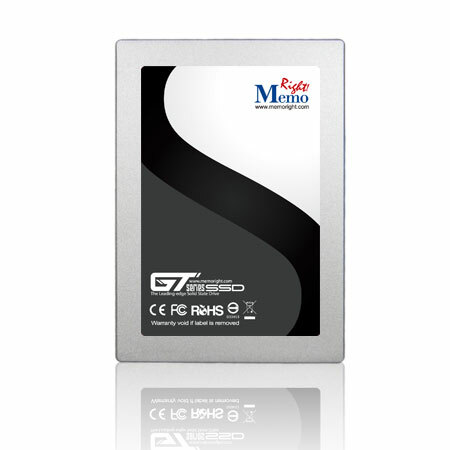 For more detailed information of GT/GTR series drives' Hardware Erase feature, please go to here. The military grade drives below are made-to-order only. Lead time is about 3 weeks. Part numbers may change without notice. The specifications will remain the same. - Secure Erase & Self Destroy: There are four types of secure erase functions to choose from in order to meet customer�s unique application. The default setting is "NORMAL" secure erase. For other options (Fast Erase, Enhanced Erase, Self Destroy, etc. ), please check here and specify in your inquiry or order. For product specifications, please go to here. 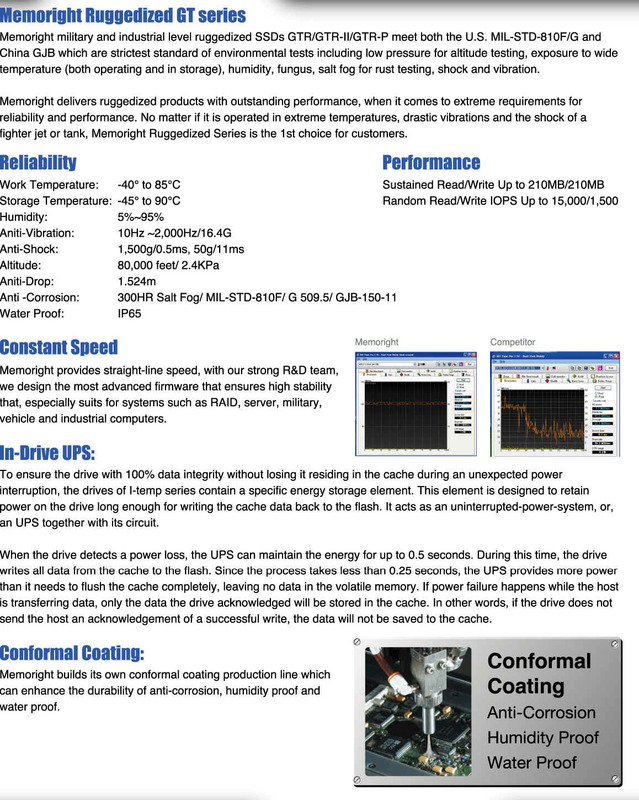 Please check here for GTR series drive data sheet. For more product info, please go to here. IV. GTRS-18 & GTS-18 Series (SLC) 1.8" Industrial SLC SATA II Flash Drives with S.M.A.R.T. Please note that GTRS-18 drives have incorporated the S.M.A.R.T. function but left out the onboard UPS and Secure Erase/Destroy features. Click here for product data sheet. For APRO's industrial SLC SATA flash drives with Secure Erase, please go to here. For other industrial SLC PATA/IDE flash drives with Secure Erase, please go to here. Normal lead time is 3 weeks. Please send inquiry to sales@psism.com or call 301-572-2168. 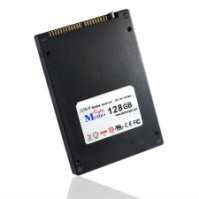 For MemoRight MLC SSD flash drives, please go to here.